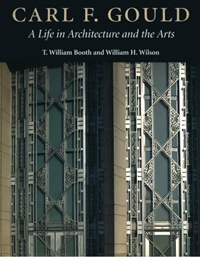 Architect and author William "Bill" Booth wrote several books about local architectural history. In 1995 he received the Washington State 'Governor's Writers' award for co-authoring Carl F. Gould: A Life in Architecture and the Arts (1995). The book, which draws on Gould's own writings, traces the evolution of one of Seattle's major architects prior to WWII. Bill Booth also wrote the book A Thriving Modernism: The Houses of Wendell Lovett and Arne Bystrom (2004).